We all know that quality time together is essential for a healthy marriage. But what do we do about it? We also know that sometimes we let time slip by and aren't the best at trying to plan something that isn't the same old routine. We also make excuses, put other things before our marriages or just accept that dates aren't happening. That's why we're challenging you to make more time for date night, day dates, mini dates while the kids nap.... you get the picture? It is no secret that you must be intentional in your marriage to keep that spark alive, and some of you are doing a fantastic job with making time for your spouse. Be intentional and get your date night plans written down and planned out. We'll share with you how to solve almost any date night issue. We'll also give you date night ideas to get you started. We know that finances are a big struggle for a lot of fire families - so no worries! You'll find tips and ideas here to fit YOUR life, everything from FREE to dates you may want to make a savings jar for. [NOTE] There may be occasional affiliate links with offers from only the people we know and love, use ourselves and know they completely align with our mission - you do not pay any more for using those links but we may get a tiny commission from each purchase that goes right back into creating more resources and programs for marriages and families here at 24-7 Commitment! It's a win for everyone. Thank you for Supporting 24-7 and other marriages! Picnic. Not warm enough in your area to go outside? Throw that blanket on the floor and enjoy your favorite room inside. Find an outdoor sporting event. Because let's face it. Sometimes the checkbook doesn't let us have the date night we really want - so we do what fire families to best... become flexible and adapt. These date nights are sure to bring connection, on a dime! Seriously. Don't tell me you don't have a sitter, money, time... excuses kill the opportunity for a date night. Date night in can be as good or bad as you make it. Bring the effort and you'll find a great date waiting for you! YES! Sometimes you just HAVE to get out. Get away. Get ALONE. 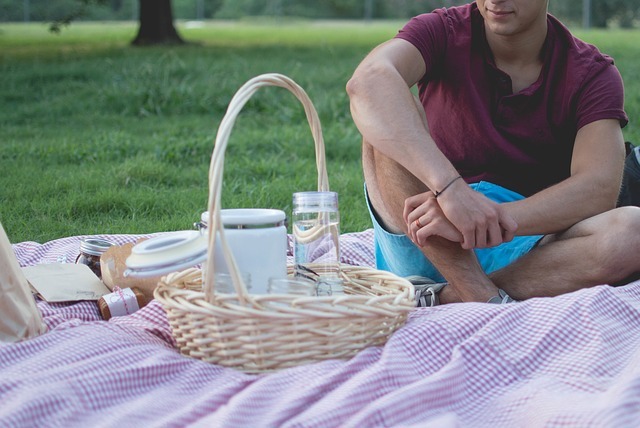 These date ideas are perfect for times that you can spare some extra cash, have a sitter and have the time to spare. You may even save up for a once per year "big" date! Get those dates on the calendar! We often hear "Family comes first" when it comes to neglecting date nights. Great notion... but that can lead to trouble for the entire family if you're neglecting your marriage. A great marriage takes focus and intentional action. Your marriage should be an example of what marriage should look like your children. You lead by example, what do you want to show them? One day your children will be flying the nest - date night helps ensure you're connecting with your spouse and that there is a marriage there when the children are not. Show your children how to love and be loved in a marriage, and you will not regret it. There are literally endless free and almost free lists of dates on Pinterest and Google. Not all free or cheap dates means staying in for movie night! Follow us Here. Here are a few of our favorites for this season. Make the most out of Winter - Great ides to stay warm this season! 5 Free Winter Date Ideas - "A mitten fulls of savings!" Country Living's Christmas Bucket List - Can't miss Yuletide activities! Go grab your favorite warm beverage, coffee dates are still in! Take a drive and look at the beautiful twinkling of Christmas Lights, maybe even Santa! Go see a local Christmas Pageant at an area school or church. By the fire with your hearts desire, what a romantic and cheap date! Local Events - see what is going on in your community for free or small entrance fees. Cook your favorite cool weather comfort food together. From One Extraordinary Marriage, It’s easy to lose the connection with your spouse over the years. They help you reconnect with this $7 offer! Have date night in, with a night full of Q&A. When is the last time you took pen to paper to leave your spouse a love letter? Download this free letter checklist, grab some supplies and take a few minutes together to write each other a love letter. From Engaged Marriage. Again, the information highway helps! At home Dates that don't include a movie! Eat Like A Firefighter - Anyone can eat like a firefighter with our own cookbook with 300 recipes from firehouses across the nation! All fire wife tested, firefighter approved- so we know they're GREAT! Cooking for Two - Because we know that sometimes it can be hard to cook for just two people. This cookbook offers 650 recipes for two! Simple! Make this a date you do every few weeks. Grab your favorites - popcorn, candy, pop, cozy blanket and take turns picking the movie for Movie Date Night. Pick older movies you haven't seen in a while, one your spouse has never seen or maybe an anticipated new release! Warning: This link is a little spicy!!! This gift guide is meant to Fire Up Your Love Life and bring a closer connection with your spouse. Proceed at your own risk! See the Gift Guide Here. Make your own date night jar, together. Both of you can add ideas you want to do and use the jar to draw from to plan a date night. This jar can be used for any date category - Day night in, out, free... you get the idea! Use this link to make your own jar! For the adventurous, ROAD TRIP. Plan your money and days and hit the open road with no agenda. Stopping at anything interesting in between where you start and where you end up! Dinner and a movie is always a great option, unless that's become too routine! In that case, find a new date to try out! Dinner at your favorite fancy restaurant. Catch a show - comedy clubs, karaoke, theaters, jazz club. you get the picture. Activity centers near you - bowling, mini golf, go-carts, lazer tag. Try something new and be adventurous! Hit up local museums. Tour your own city, do you know it's history? Get outdoors - visit your local state or national parks. Take a Class together - cooking classes, paint the canvas night, ballroom dancing. See what is offered near you. We don't make money off of this but for every 5 couples who register, we will be given a weekend to give away. So we think that's pretty awesome! For Firefighters and their spouses - Commitment Weekend. This premier annual event is a must attend marriage weekend. It's no boring marriage conference - it's a romantic adventure that will equip you with resources and tools to face the valleys in marriage. July 18-20th 2019 we head to Charlotte, NC. Join us there for the experience of a lifetime! See more on Commitment Weekend now at: CommitmentWeekend.com. Is your relationship in a season that date night isn't really happening because there are more important things your relationship needs? Here are a few 24-7 Commitment favorite resources and programs to reconnect and rekindle your relationship. Progress can be slow in seasons, but progress is always a step forward! Trust Me! Renew and Reveal your Foundation. Connect Like You Did - paperback book. Love Deeper Symbis+ Workshop - Move from bad to better and from good to great. Engaged Marriage aligns with the 24-7 Mission. They are here to support your marriage through practical tips, tools and training. 5 Ideas fo the 5 Love Languages - this is a FREE guide. Want more on enriching your marriage? You can find our Marriage Resources Page HERE. We also invite you to join one of our Online Communities HERE, where you'll find like minded people who value their marriage, and yours too!